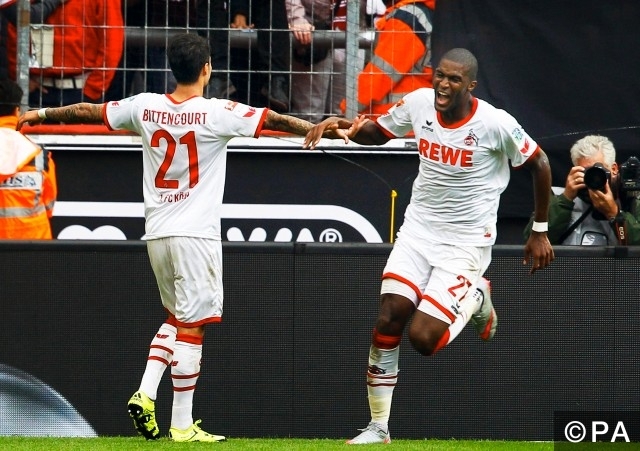 Cologne vs Bayer Leverkusen predictions for Wednesday’s evening kick-off in the Bundesliga. Roger Schmidt’s Bayer Leverkusen have struggled for consistency in the Bundesliga this season and a 2-1 defeat to Ingolstadt last Sunday was a bitter way to see the fans off in their last home match of 2016 before the Christmas break. Schmidt made five changes to the side which beat Schalke 1-0 the weekend prior, but Leverkusen struggled to settle in against the resurgent Ingolstadt and the frustration showed – starting 11 Chilean midfielder Charles Aranguiz (14 appearances) is suspended for this match following his yellow/red sending off. Meanwhile, though Cologne’s form doesn’t mirror that of Leverkusen’s – Cologne have lost the joint third fewest matches in the Bundesliga (3) – their gears have slowed in the approach to Christmas. Cologne are without a win in four matches, losing one and drawing three (against Augsburg, Dortmund and Bremen) of their last four. Despite their shaky form, Bayer Leverkusen head into this as slight favourites with the bookies at 7/5. However, we feel that backing Cologne draw not bet at 1/1 has to be the better option for the following reasons: Cologne have shown stubborn determination and impeccable form at the RheinEnergieStadion since April – Cologne are unbeaten in 9 consecutive Bundesliga home matches (W5 D4), including draws against title contenders Dortmund and RB Leipzig. Meanwhile, Bayer Leverkusen, who’s performances have been far from convincing through most of this season, have lost five of their last eight Bundesliga matches on the road (W3 L5). To make matters worse for Leverkusen, although Cologne’s Anthony Modeste (2nd top scorer in the Bundesliga) is four matches without a goal, their own top scorer Javier “Chicharito” Hernandez (5 goals in 14 appearancs) is now nine Bundesliga matches without a goal and lacking confidence. Regarding a correct score bet here, Leverkusen’s troubles have stemmed from their inability to stop leaking goals at the back – both teams have scored in six of Leverkusen’s last seven Bundesliga matches. Considering that Leverkusen have lost 2-1 in five of their last eight Bundesliga away matches, odds of 10/1 on a Cologne 2-1 win should hold some decent value. Bayer Leverkusen won 2-0 in Cologne when the two sides last met in April earlier this year. Cologne have won 9, drawn 12 and lost 8 of the 29 meetings at home to Bayer Leverkusen. Cologne's Leonardo Bittencourt (left wing), who has sustained an ankle injury, Marcel Risse (winger), who has been ruled out for the majority of the season, defensive mid Matthias Lehmann, centre back Dominic Maroh, and goalkeeper Timo Horn are all doubtful here. Attacking midfielder Salih Ozcan returns after serving out his 1 match suspension. Bayer Leverkusen have a few crucial injuries ahead of this match: Bayer remain doubtful over German national team winger Karim Bellarabi, who's spent an extended period sidelined. Forwards Kevin Volland and Stefan Kießling and right-back Benjamin Henrichs are also all doubtful. Cologne are unbeaten in 9 consecutive Bundesliga home matches (W5 D4). Bayer Leverkusen have lost 5 of their last 8 Bundesliga away matches (W3 L5), all of which ended 2-1. Both teams have scored in all but one of Leverkusen’s last 9 matches on the road.